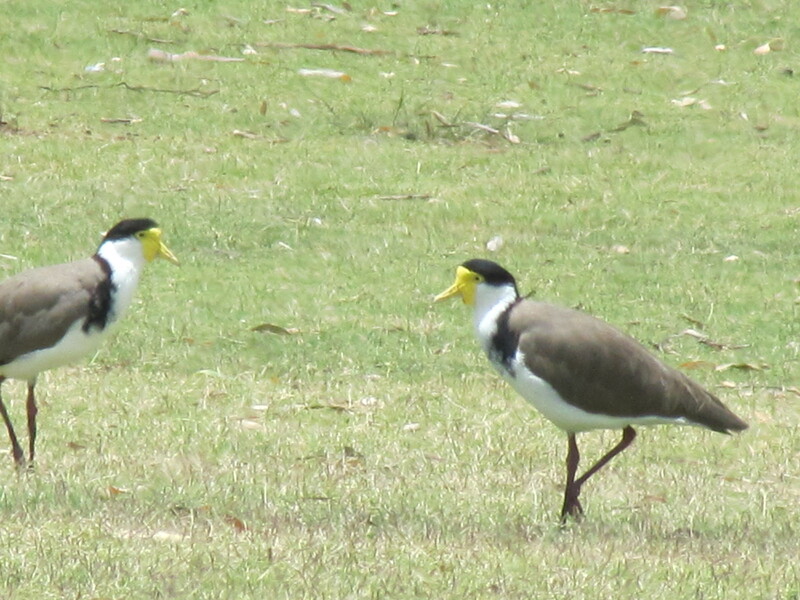 Many people don’t like lapwings (plovers), especially the Masked Lapwing shown in today’s photos. The reasons are various, including the fact that they make their nests on the ground, usually a lawned area like that shown in today’s photos. The Australian Botanic Gardens at Mt Annan have large areas of lawn or grassy areas, suitable for picnics and large gathering such as concerts. The local community had celebrated their Christmas Carol singing for 2013 the night before we were there. While it is ideal habitat for the Lapwings, their preference brings a conflict with humans. 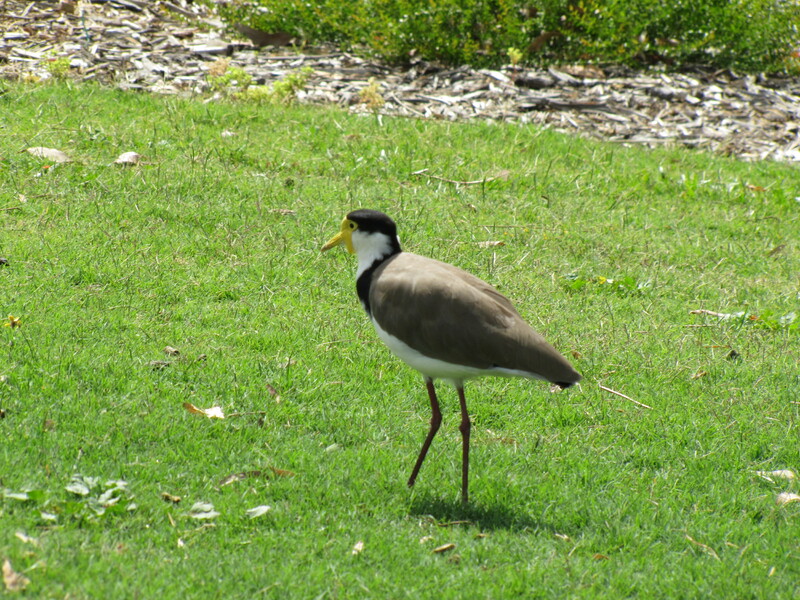 Most people are reluctant to mow the grass or lawn while the birds are sitting on eggs. Breeding season for the Masked Lapwing brings about another point of conflict with human occupation of the same space. Lapwings aggressively defend their nest and territory, swooping any person, dog, cat or cyclist who dares invade their domain. A screeching, swooping lapwing – it’s more of a attack fighter plane dive – is a terrifying experience for some and an unnerving encounter at best. Young children are particularly at risk. The spurs on the “elbow” of the wing can cause injury if the swooping bird contacts the intended victim. I might add that contact is rare, and injuries usually minor. Psychological damage can be the most severe outcome; some people are definitely traumatised by a close encounter.